EDMONTON -- An Alberta court has approved a $4-million settlement of a class-action lawsuit filed after an E. coli outbreak that sparked the largest meat recall in Canadian history. The lawsuit was against XL Foods Inc., which operated a meat-packing plant in southern Alberta during the tainted beef recall in the fall of 2012. People who became sick after eating the beef or people who purchased the beef can apply for compensation. Lawyer Clint Docken says hundreds of people in Canada and the United States could apply by the Aug. 17 deadline. Under the agreement, which refers to possible E. coli contamination, XL Foods does not accept any wrongdoing or liability. 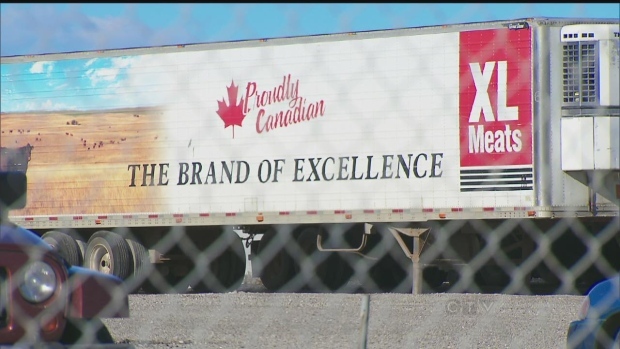 XL Foods recalled more than 1.8 million kilograms of beef in Canada and the United States, and the plant in Brooks, Alta., was later sold to JBS Canada.